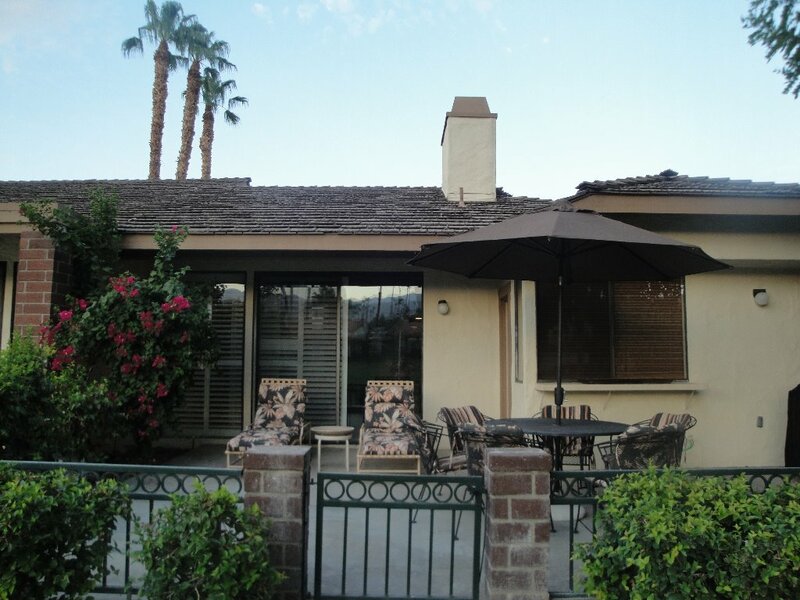 Located in the secure gated community of the Monterey Country Club is our quiet 3 bedroom 2 bathroom quiet, single level, end unit condo overlooking the 8th fairway with a beautiful west facing mountain view. 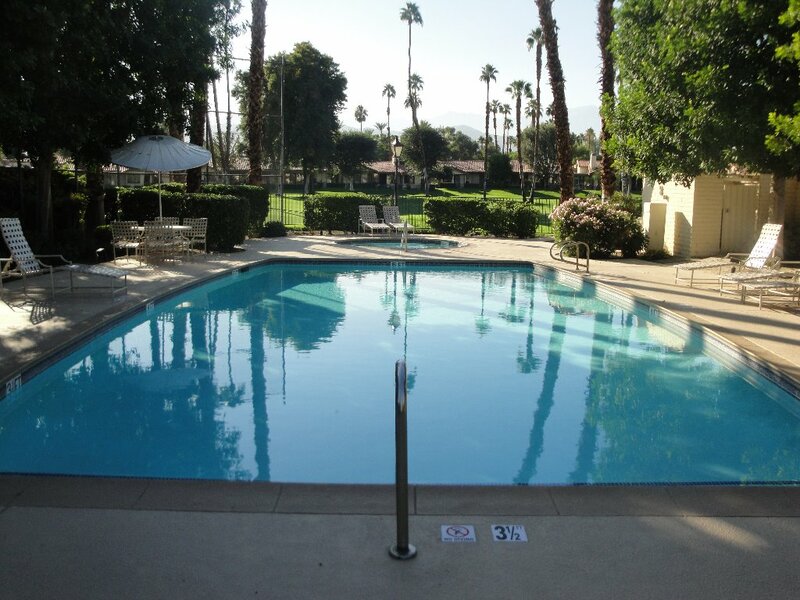 This condo is located on a quiet street with close proximity to pool number 19 of the 37 pools available for your enjoyment. 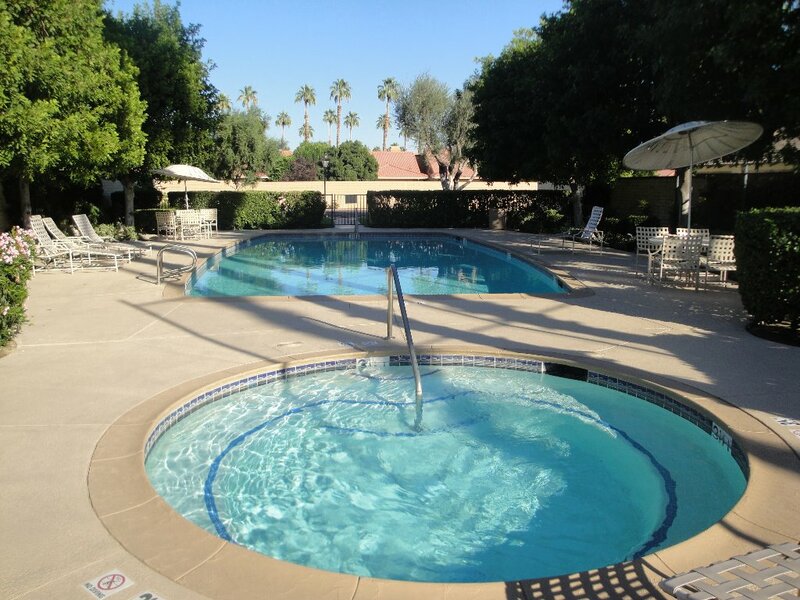 We are only a short 1/2 block away from the pool. 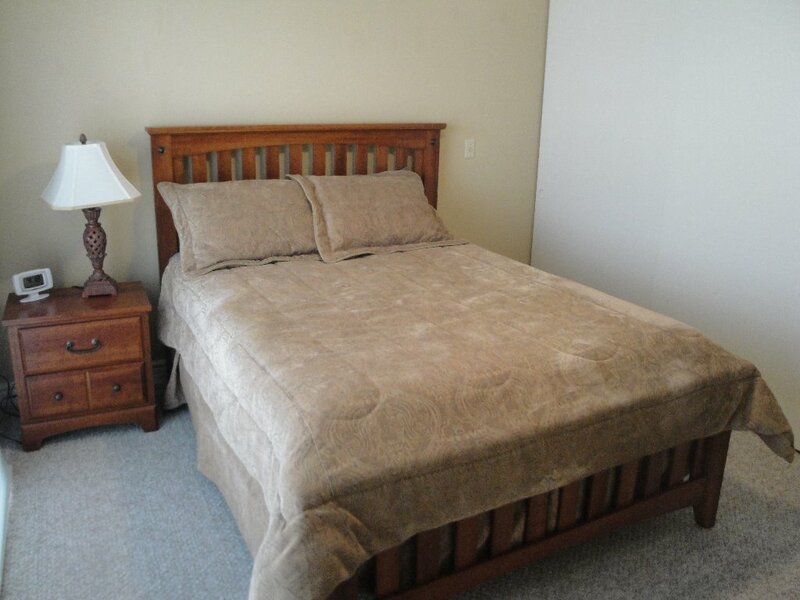 The master bedroom has a comfortable king sized bed. 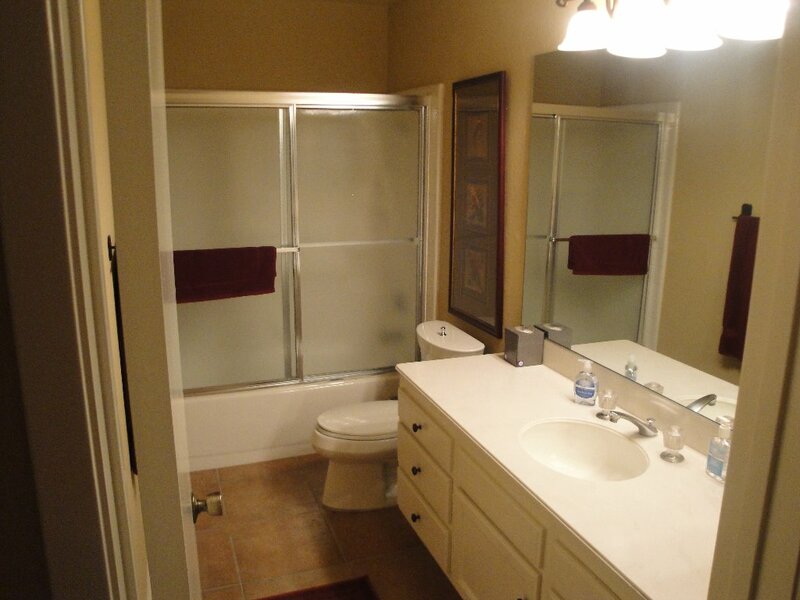 It has an adjoining 2 sink bathroom with walk-in shower. It also has a 32” flat screen TV. The second bedroom has a queen bed with a 32” flat screen TV. 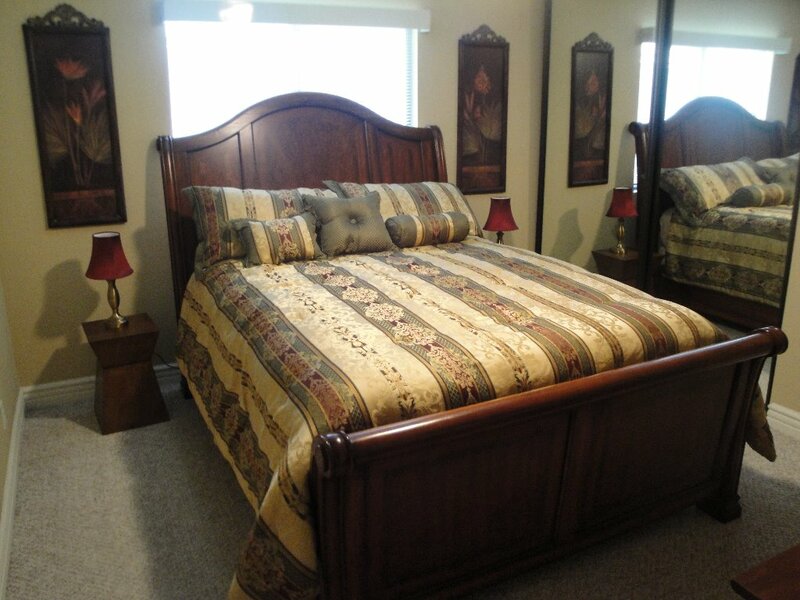 The third bedroom also has a queen size bed with adjoining/shared bathroom with a shower/tub. 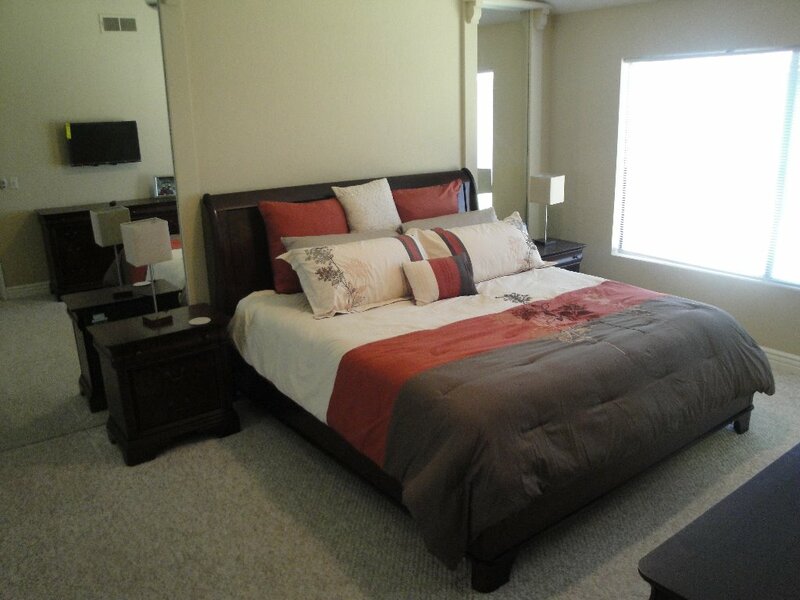 All bedrooms have new ultra quiet remote controlled ceiling fans with light. 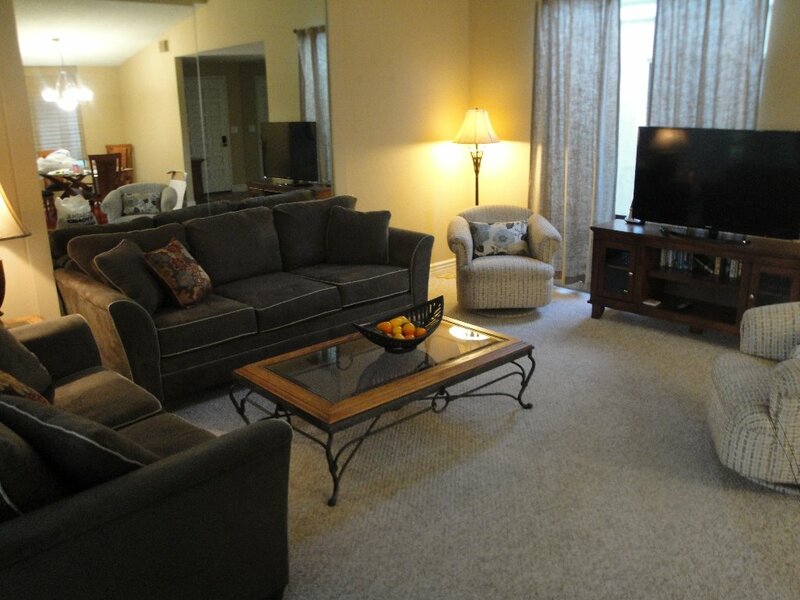 There are cathedral ceilings in the living room and master bedroom. 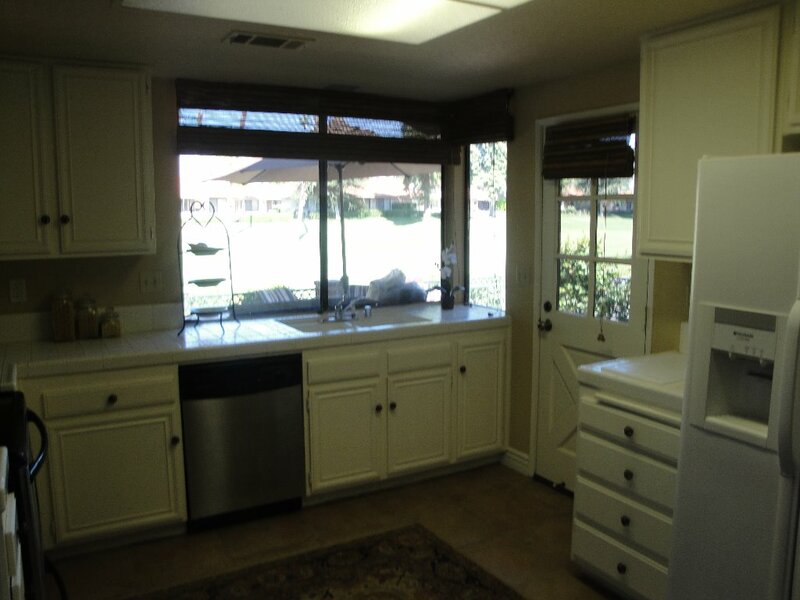 The well-equipped kitchen overlooks the patio and the 8th fairway. It has a large pass-through window for outdoor dining ease. There is a side door which provides easy access to the patio, with a table that seats six, 2 chaise lounges, and a Weber gas grill. 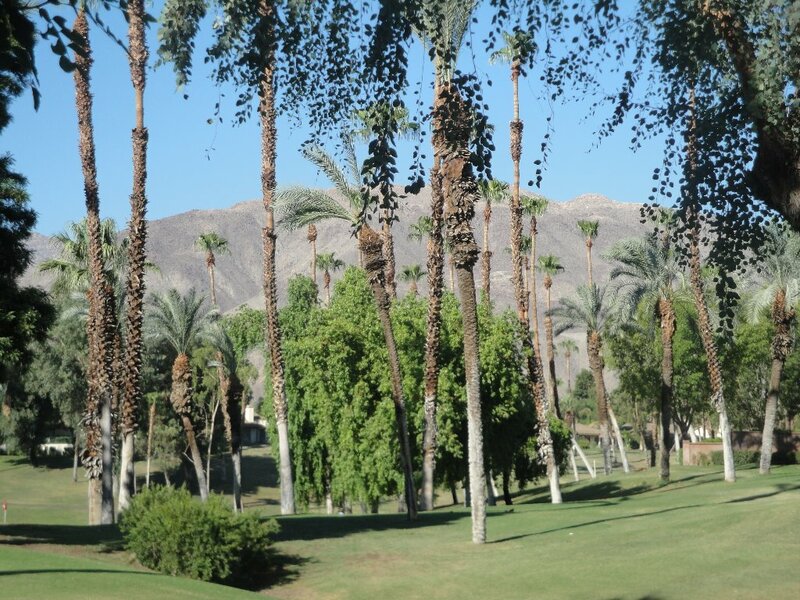 On the patio you will enjoy the beautiful view of the trees with the sun setting behind the mountains. In the living room there are plantation shutters. It also has a wet bar for your entertaining enjoyment, a gas fireplace for those cooler evenings and a 51” HDTV and Blue Ray DVD player. 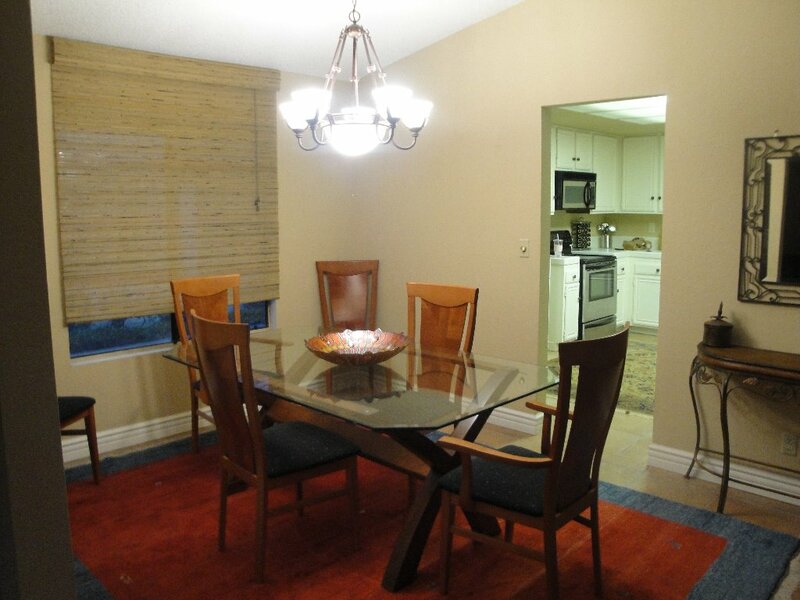 The dining room table has seating for 6. 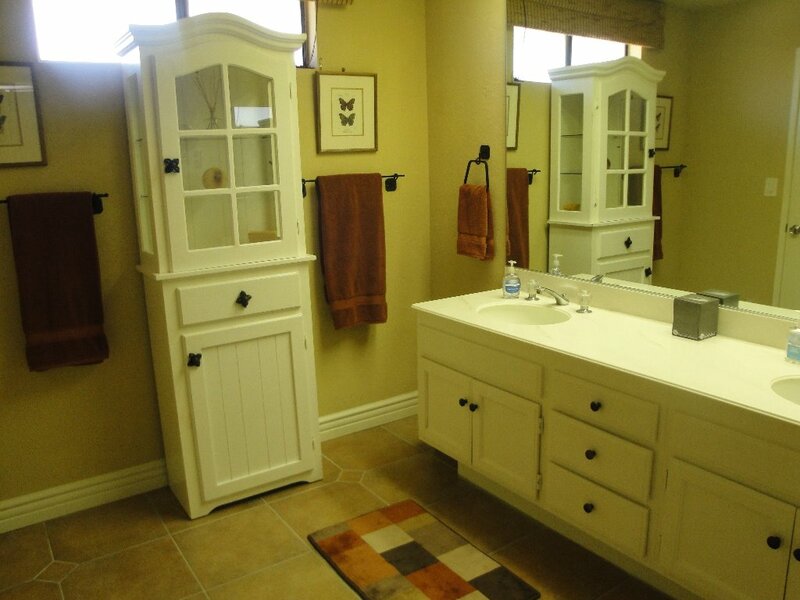 There is a full size front-load washer and dryer in the laundry room. With Monterey Country Club’s central location you are only minutes away from all your favorite shops, restaurants, and activities. You are welcome to use the restaurant in the Monterey club house.